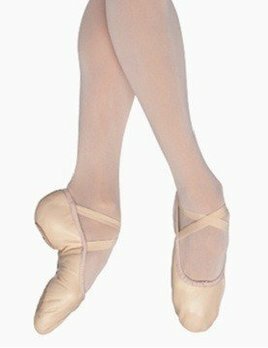 BPDancewear offers ballet shoes for adults in a variety of options. 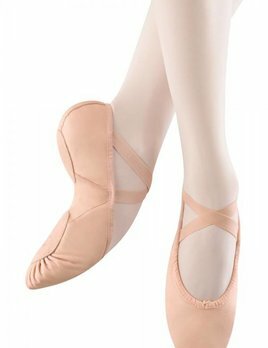 We carry full sole and split sole ballet shoes in canvas and leather. 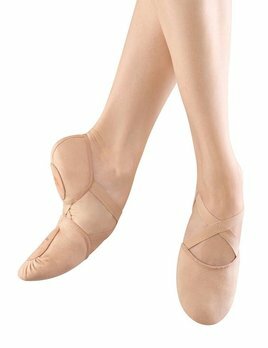 This super comfortable, lightweight stretch canvas ballet slipper features pre-sewn crossed elastics as well as shock absorbing heel cushioning. 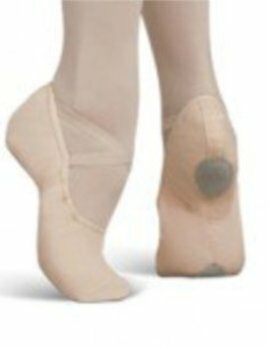 The elastic system in the mid section of the ‘Elastosplit X’ replaces materials in the mid-foot to reveal the dancer’s arch and minimize bunching underfoot. 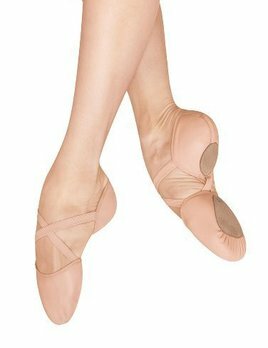 The elastic system is in an X configuration and contours to the natural lines of the foot. 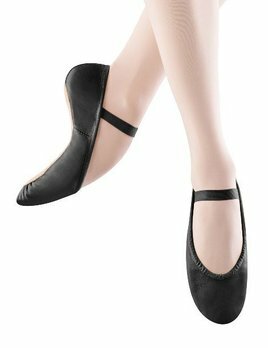 Bloch Prolite II Leather split sole ballet slipper has a tapered toe and tear drop pad. Quality leather provides great feel and durability. 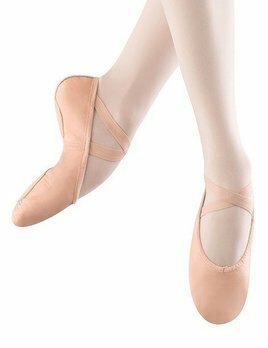 This shoe features a cotton lining, thin cotton drawstring, and soft suede insock for comfort and pre-sewn elastic. 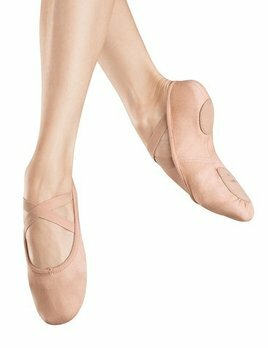 Bloch's "Dansoft" ballet shoe is a full sole ballet shoe. 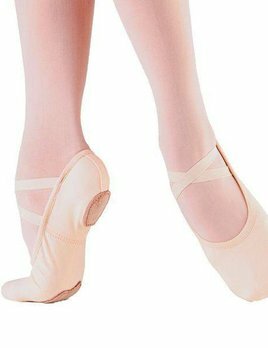 It is an ideal student leather ballet slipper with the elastic already attached and a full suede sole. 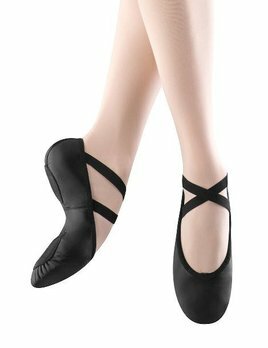 The Dansoft has strong yet flexible leather upper and a cotton lining. 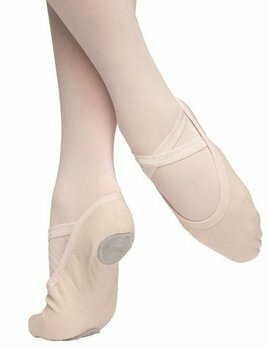 Adult leather split sole shoe with a soft canvas arch insert to hug the foot when pointing and minimize wrinkling. Comes with pre-sewn elastic straps for immediate use. Size 4 is equivalent to a childrens 1-1.5 Street Shoe. 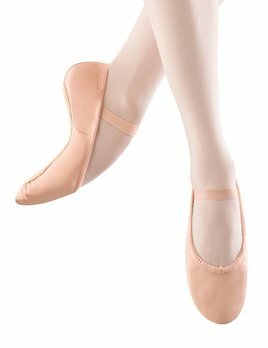 The four way stretch canvas hugs your foot like no other ballet shoe ever has. 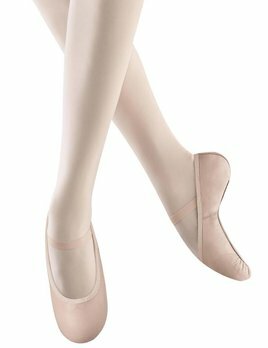 The incredible buttery soft lining provides comfort beyond your expectations. Prepare to fall in love with Hanami. 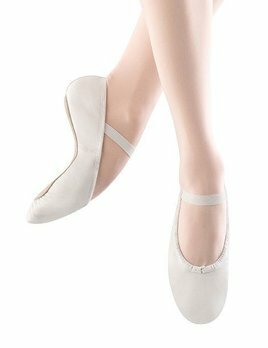 The Vivante by Russian Pointe is a stretch canvas, split sole ballet shoe with no drawstring.